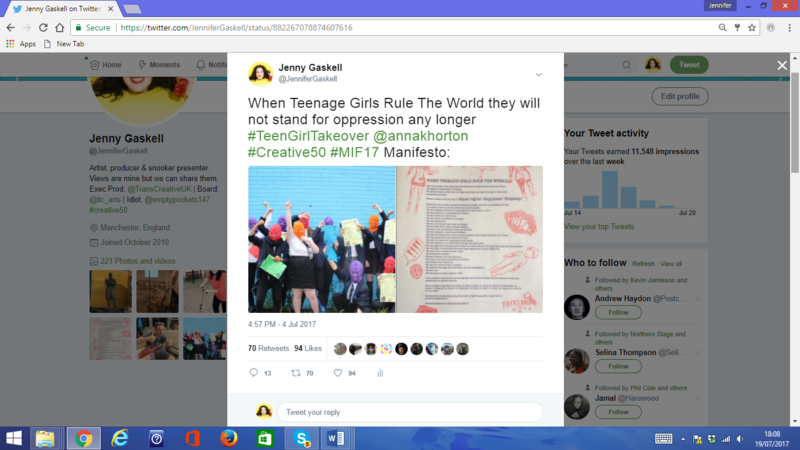 When Teenage Girls Rule the World is a manifesto written by teenagers, laying out the values teen girls stand for and how they demand to be treated. Inspired by the MIF show ‘What if Women Ruled the World?’, this manifesto and workshop series was created to support a group of young women who are often told what to do – by family, school and the media – at a vital age in which they should be making their own rules. 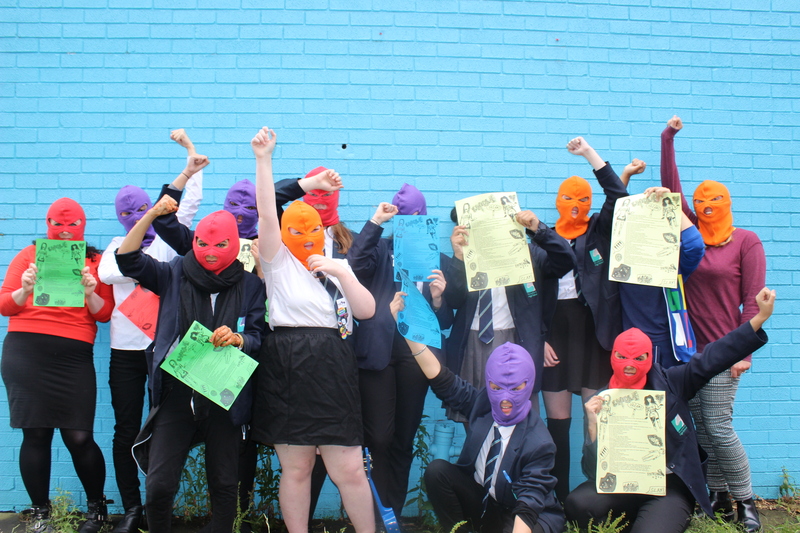 This manifesto was entirely written and designed by the teenagers, during two after school workshops which took place at Stretford High School. With the hashtag #TeenGirlTakeover, the manifesto was tweeted out to a series of public figures from a list the group generated (including Theresa May, Jeremy Corbyn and Beyonce). The poster was also made into 1000 posters using risograph printing, which were distributed by the teenagers. This manifesto was written by teenage girls and a trans teenage boy who wanted to share his perspective on gender equality. This manifesto was written by Kira 15, Rabi 15, Ellie 15, Mook 15, Sukhi 14, Parminder 14, Nicole 15, Saarah 15, Mavish 15, Naeemah 14, Aliya 15, Ruby 14, Holly 14, Rujnee 14 & Jude 13. This project was facilitated by Jenny 29 and Anna 26, with thanks to Dan R for the use of his printer.